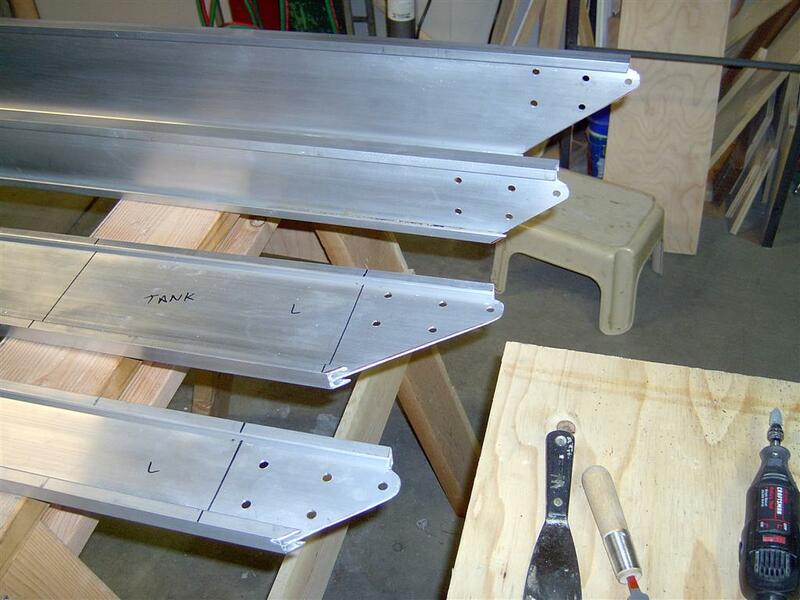 I am building my Super Cub wing from an experimental wing kit from D&E Aircraft. My wing has fiberglass Horner style tips. Each panel is 16ft and is good for 2000lbs gross weight. The flaps and ailerons are approx 8ft ea. The spars and compression members are extruded 6061 T6 aluminum. The ribs are 2024 T3. Project Status: 1/26/2009 - The wings are covered. I am painting them with Stewart Systems waterborne process this week.